The drug is most commonly used for Alzheimer’s and Parkinson’s disease research. Alzheimer’s affects one in 20 people over the age of 65. Alzheimer’s is the leading cause for dementia cases in this particular age group worldwide. In Israel, where this study originated, there are more than 100,000 people suffering with Alzheimer’s related dementia. By contrast, the United States is home to 5.3 million sufferers of Alzheimer’s disease. This particular disease is the sixth leading cause of death in the United States. In Europe, six million people are suffering from Alzheimer’s disease. Fifty percent of individuals who suffer from Alzheimer’s also suffer from depression. Over a third of patients also exhibit Parkinson’s symptoms. Alzheimer’s disease describes the most common form of dementia in patients. The disease is incurable, degenerative, and in most cases terminal. The disease was first discovered by Alois Alzheimer in 1906. He was a German psychiatrist who used his name to identify the disease. Most individuals suffering from the disease are over the age of 65. However, there are cases of early onset Alzheimer’s disease. According to a 2006 survey, there were over 26.6 million Alzheimer’s sufferers around the world. By 2050, scientists predict that it will affect 1 in 85 people in the world. Alzheimer’s disease affects each individual differently. Initially, the symptoms appear as stress. One of the most common associated symptoms is that a patient loses the ability to acquire new memories. Other symptoms include confusion, mood swings, irritability, aggression, long term memory loss, withdrawal, and language breakdown. Over time, the patient will lose all bodily functions and eventually die. Physicians who test for Alzheimer’s will conduct a series of cognitive tests, behavioral assessments, and a brain scan. Typically, the brain scan is performed using an MRI or Magnetic Resonance Imaging system, if one is available. Physicians often have difficulty with the prognosis after a patient is diagnosed. However, the average life expectancy, after diagnosis, is approximately 7 years. A small percentage, 3 percent, will live 14 years after the initial diagnosis. The causes of Alzheimer’s are continually debated. Some research indicates that the disease is a result of plaque build up and other neurological complications in the brain. 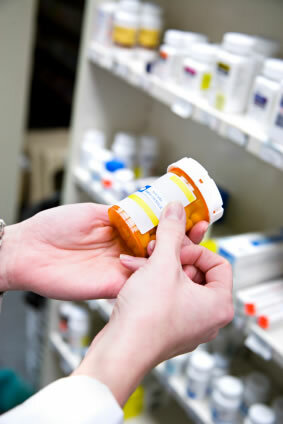 During a report in 2008, more than 500 clinical trials had been conducted to find an effective drug to cure Alzheimer’s. However, no drug has shown promise in completely halting the progression of the disease. Ladostigil gives Alzheimer’s patients new hope that scientists are one step closer to a cure. In the meantime, mental stimulation, exercise and a balanced diet are the best modes of prevention and management of the disease. Ladostigil is a cholinesterase inhibitor that has shown great promise in alleviating the symptoms of dementia, depression, and anxiety. Ladostigil seems to change the pathology characteristic of the disease. Professor Marta Weinstock-Rosin of the Department of Pharmacology is a part of the research team at the Hebrew University of Jerusalum. Ladostigil was designed by Professor Michael Chorey. This professor also developed the drug, Exelon, that is used to treat the symptoms of dementia. This particular drug is marketed and sold by Novartis Pharma AG. The drug is currently undergoing Phase II trials in humans to determine the drug’s efficacy in treating dementia, depression, and anxiety. This drug is a hopeful candidate in fighting diseases, such as Parkinson’s disease and Alzheimer’s disease. Currently, Ladostigil is only used in rodents and monkeys. As of April 2010, scientists have received permission to proceed with clinical trials in human subjects. The study will be conducted, over the course of 52 weeks, in conjunction with the Hebrew University of Jerusalum and Avraham Pharmaceuticals. Scientists hope that patients suffering from any neurodegenerative diseases, along with depression and anxiety, will benefit from the drug. The drug shows significant promise for patients suffering from Parkinson’s disease and Alzheimer’s disease. Ladostigil is designed to improve memory impairment. Current studies have been conducted in aged rodents and monkeys. The novel drug shows promising results in improving cognitive impairment among this group of animal subjects. The drug appeared to correct signs of depression in rats without any significant or known side effects. The drug, Ladostigil also acts as an anti-inflammatory agent. Inflammation often is triggered by the release of cytokines in the brain. This particular drug has shown great promise in reducing the inflammation on the brain. Ladostigil shows potential that no other Alzheimer’s drug has shown in recent history. Scientists anticipate that clinical trials in human subjects will indicate the effectiveness of the drug on several neurodegenerative diseases, such as Alzheimer’s and Parkinson’s disease. Dementia in Alzheimer’s patients most often occurs because of degeneration of “cholinergic cortical” neurons. This degeneration causes a cognitive deficit in these particular patients suffering from the disease. Many of the subjects suffering from dementia also experience “extrapyramidal dysfunction” and depression. Most of this is a result of the degeneration of dopaminergic, noradrenergic and sertoninergic neurons. Ladostigil tartrate works by acting as an MAOI, cholinesterase inhibitor, and a neuroprotector. Monoamine Oxidase Inhibitors (MAOIs) are antidepressant drugs that are useful in treating depression that often accompanies Alzheimer’s disease and Parkinson’s disease. MAOIs are the strongest group of antidepressant drugs. Other drugs that are based upon selective serotonin reuptake inhibitors or tricyclic antidepressants are not as effective in some patients as some of these other drugs. MAOIs have also been proven effective in smoking cessation as well. Cholinesterase inhibitors are chemicals that increase the level of action of acetylcholine. Acetylcholine is a neurotransmitter. This is accomplished by breaking down acetylcholine using cholinesterase enzyme. Neuroprotectors protect neurons that are dying or degenerating. Neuroprotectors are often used in any neurodegenerative diseases, such as stroke, schizophrenia, and Parkinson’s disease. Erythropoietin is an example of a neuroprotector. More specifically, Ladostigil works by inhibiting acetyl and butyrylcholinesterase. Additionally, it inhibits monoamine oxidase in the brain. Since no studies have been conducted in human patients, most of the findings are related to rodent subjects. Ladostigil has shown effects of reducing or reversing memory impairments in rodents. Additionally, Ladostigil has an antidepressant effect on prenatally stressed rats. The drug also prevents nitrate stress prompted by oxidation. The combination of ChE and MAO enzyme inhibition, as well as, neuroprotection gives this drug significant promise in treating cognitive impairment and depression. Some studies tested the antidepressant effects by subjecting the rodents to a forced swim test. The rodents performed well under the pressure, which indicated that the antidepressants were effective in the rodent subjects. Because Ladostigil tartrate combines three functionalities into one distinct pill, scientists expect the drug to perform remarkably better than any of its predecessors. The drug will target cognitive impairment, depression, anxiety and also serve as a neuroprotector. Ladostigil is available in two forms: TV3326 and TV3279. Both forms are R and S isomers, respectively. Ladostigil is a combination of carbamate cholinesterase (ChE) inhibitor, rivastigmine, and rasagiline. Rasagiline is a MAO B inhibitor. Naturally, human cells contain two forms of monoamine oxidase: A and B. Both forms of MAOI are present in the brain. MAO-B is more common. This form acts as a catalyst in the breakdown of dopamine. This occurs after dopamine is released into the synapse. In neurodegenerative diseases such as Parkinson’s Disease, death increases in cells that use dopamine to transmit signals. This slows the rate of firing among neurons and the ability to recall certain events. Rasagiline inhibits the dopamine process and allows the signaling neurons to store more dopamine for later use. To date, Ladostigil has only been administered to rodent and monkey subjects in the form of injections and pill. The clinical trial for human subjects was approved in April 2010. It is unclear which form of Ladostigil will be used for the human clinical trial. However, pill or tablet form would be a logical assumption. Ladostigil has only proven its efficacy in rodent subjects. Currently, Ladostigil has been proven to improve motor function in rodents with chronic symptoms. The drug has also proven to increase dopamine and serotonin levels by 90 percent. In prenatal rodents, the antidepressant showed no side effects. Ladostigil has also been proven to improve ChE activity by 50 percent. Scientists hope that Ladostigil will improve dementia, depression, and anxiety in patients suffering from neurodegenerative diseases, such as Alzheimer’s and Parkinson’s disease. Rasagiline is an MAO B inhibitor that is included in the popular drug, Ladostigil. This drug is supposed to act as a neuroprotector in the brain. However, more studies must be conducted to prove this finding conclusively. The effects of rasgiline may be reduced if amphetamines are introduced into the system. Therefore, this drug should not be combined with amphetamines to retain its effectiveness. In the studies of rodents, Ladostigil was administered in 52 mg doses for 21 days. The rat studies showed that levels of dopamine and serotonin were increased by 90 percent and ChE activity was inhibited by 50 percent. In another study, 26 mg of Ladostigil TV3279 was administered for 21 days. This amount of the drug in this particular form also inhibited 50 percent of ChE activity. However, Ladostigil TV3279 had no effect on MAO activity or amine levels. In instances where the drug was administered for chronic symptoms, the rodents were able to preserve motor function and behavior when tested. In instances where the drug was administered for acute symptoms and treatment, scientists noted decreased motor skills. In other studies conducted on rabbits and rodents, the dosages varied from 10 to 100 mg. The dosage for human subjects has yet to be determined or released. The drug has not been approved to be used on any human subjects outside of the clinical trial. This clinical trial is being held in Israel. Those who would like to participate in the study may request to be included. However, it is uncertain what qualifications are necessary to be included in the Phase II clinical trial. Currently, the antidepressant portion of the drug is showing no side effects in rodent subjects. Since no human trials have been completed, no side effects are noted. Scientists will document side effects as they arise during the study. After the study is completed, more conclusive evidence will be provided. No cost is associated with Ladostigil, because the drug is still in clinical trials. The only human subjects that will have access to the drug will be involved with the clinical trial. During the trial, the patients will be closely monitored and the efficacy of the drug will be determined. 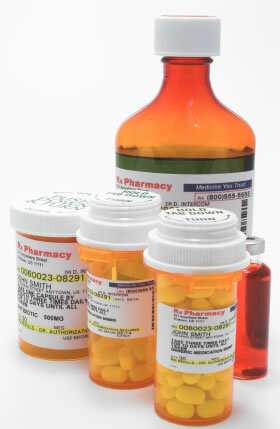 If the drug is approved for sale to physicians for use in treatment, then an adequate price will be assigned to the drug. Avraham currently holds the rights to Ladostigil. This company will be responsible for setting the cost structure. The company recently purchased the rights from Yissum Research Development Company of Hebrew University of Jerusalum. This particular research company was started to protect the intellectual property of Hebrew University of Jerusalum. This is a reputable company that partners with Teva, Johnson & Johnson, Novartis, Merck, Roche, Intel, Phillips, IBM, Monsanto, Vilmorin, and Syngenta for research studies. GREAT SOLUTION FOR ALLS !!!! how can i get my mother who is 81 years old to participate in this trial?